Go. Baptize. Teach. Need I say more? Well, folks, this is it. This is the day when we celebrate the Trinity, that seemingly impenetrable mystery of Three in One and One in Three, something about which thousands and thousands, no, millions of words have been written and which many will tell you is impossible to completely understand. But I have to tell you, if Jesus were here with us, he would probably be confused. Because for Jesus, the Trinity of the Father, Son and Holy Spirit is not a mystery, it’s not impenetrable, and it’s not his focus. You see, Jesus understood the Trinity because he was one manifestation of the Trinity. So to him, the Three in One and One in Three makes perfect sense. But before we go there, before we focus on what Jesus really wants us to focus on, let’s spend a few minutes on the part that Jesus says isn’t that complicated after all but others claim we can’t quite get. We believe in God the Father, God the Son and God the Holy Spirit. This is God the Father, the Creator, who brought all things into being. This is God the Son, who came to be one of us as one of us, who lived for us, who preached and taught and healed and then died for us. This is God the Holy Spirit, who inspires us, who literally gives us breath – when a baby is born, we all wait anxiously for that baby to breathe in that first breathe, to inspire that first breath – and who tells us what to say, when to say it, and how to say it. Can you separate out God the Father from God the Son from God the Holy Spirit? Because they are all one. My friends, that’s the Trinity. 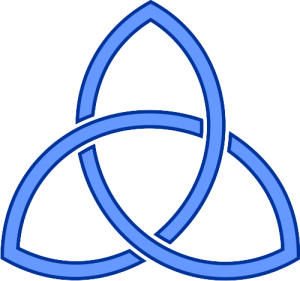 Another way to explain the Trinity so that it makes sense to us? I am a daughter. I am my mother’s oldest daughter, and even though my mother died nine years ago, I will always be my mother’s daughter. I am a sister. I have seven siblings … two brothers, two stepbrothers, one step sister and two half-sisters. (It’s a complicated family, trust me.) No matter what happens to me in this life, when I die, my obituary will say that I have seven siblings. And I am an aunt. I have 19 nieces and nephews, and seven great nieces and nephews, and I am their Aunt LoLo. And no matter what happens in my life, I will always be Aunt LoLo to them. A daughter. A sister. An aunt. As Jesus would say, “It’s not that complicated.” Because it’s not! That’s the trinity Jesus cares about. Nowhere in the Gospels does Jesus spend any time worrying about and explaining how God the Father, God the Son and God the Holy Spirit are together, are one being, are God. To Jesus, it makes perfect sense. Just as me being a daughter, a sister and an aunt all at the same time makes perfect sense. But Jesus does concentrate on that other trinity – Go. Baptize. Teach. – all the time. Throughout his ministry, Jesus was constantly teaching us how we are to live our lives, what we are to do with our lives. Jesus talked about it, he modeled it for us, he got into debates over it (remember Zebedee’s wife, trying to ensure that her sons, James and John, got the coveted seats at the right hand of Jesus in heaven? Remember all those debates with the Pharisees about healing people on the Sabbath? Remember how the Pharisees tried to trick him into saying blasphemous and illegal things about paying taxes and being sent by the Father? Remember how they railed at him for eating with prostitutes and beggars and fishermen?). Jesus was very clear: If we are going to follow him, we cannot do so in a vacuum. We are not to be blind imitators, but active ministers – constantly modeling God’s love for everyone, wherever we go, so that they, too, can see God’s love in action and commit their lives to that love. Do you remember what happened when Jesus was baptized in the River Jordan? He heard God on high say to him: This is my beloved, in whom I am well-pleased. Go baptize others, Jesus tells us, so that they can hear God’s voice as well, so that they can experience God’s love, so that they can commit themselves to that love. Jesus was a teacher. Pure and simple, that’s what he did: He taught. Every moment of his life, by word, thought and deed, he made sure that we understood what it was that God wanted us to do. And the key thing he taught was that we are loved, and that we are to love. We are to love each other not just as ourselves – I’ve told you before and I’ll tell you again: There are some days when I don’t love myself very much, and on those days, I can tell you, it’s really hard for me to love anyone else – no, we have to love each other a whole lot more than that. We are called to love each other as Jesus loved us! Which means we are the ones called to feed the hungry until there are no more hungry people in the world. We are the ones who are to give water – clean water – until everyone’s thirst is slaked. We are the ones who are supposed to heal the sick and raise the dead, comfort the prisoner and lift the poor out of poverty. Not someone else, my friends. This is our job, our way of life, because Jesus said so! Jesus’ Trinity is not some convoluted, impenetrable mystery that sidetracks us from our calling in life. Jesus’ trinity is the Great Commission. And the Great Commission is our set of marching orders. You want to know how to live your lives as followers of Jesus? Look no farther than Jesus’ final words to his disciples. Baptize them in the name of the Father and of the Son and of the Holy Spirit. Teach them to obey all the commandments I have given you. I’m telling you, this is not rocket science. This is not some esoteric debate about how to figure out the Three-in-One. Because Jesus is not interested in that kind of religion. Jesus cares about, Jesus loves God’s people. My work is done here. I’ve taught you everything you need to know, shown you everything you need to be shown, modeled a way of life for you, even modeled a way of death for you. Everything I’ve taught you, shown you, modeled for you? It’s all about love – God’s love for all of God’s beloved children. Now it’s your turn, he says. 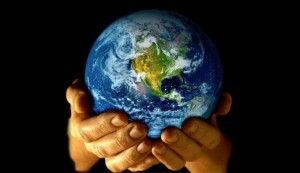 You go out into the world and love God’s people. You show them how much God loves them. It’s your job … your life … now. 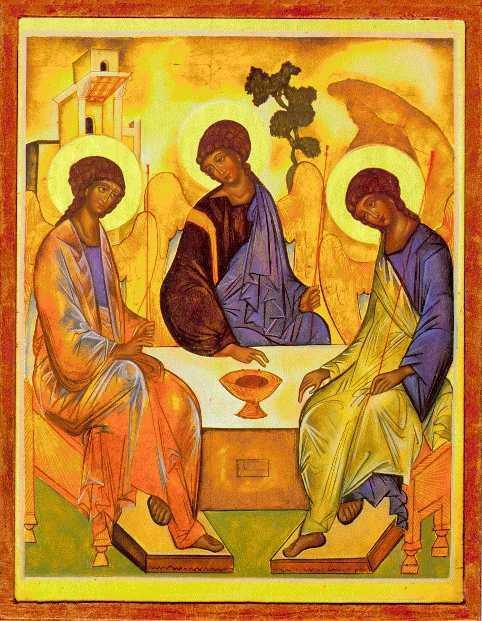 You want to understand the Trinity on Trinity Sunday? A sermon preached on Trinity Sunday, 19 June 2011, Year A, at St. Paul’s, Bailey’s Crossroads, Falls Church, Va.